One huge problem about every student attending a hackathon faces is staring at a screen, sleep deprived, slouching down for over 24 hours. This causes major back pain, eye strain and all the life threatening side effects that come with this. By also sitting at your computer 24/7, you become much less productive by either drowsing off or just not paying as much attention. We created at tool to help solve this. 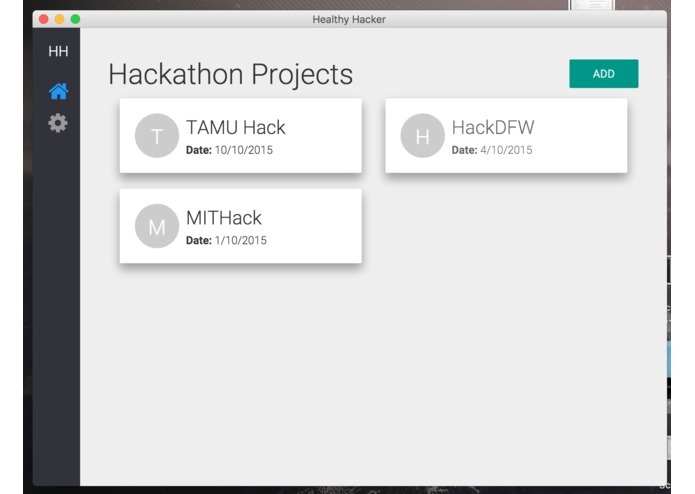 HealthyHacker monitors keystrokes and mouse movements and, depending on the type of person at the computer (developer, designer, or anyone else) analyzes their activity while working and keeps an eye on how long the user is staying in one place. You can think HealthyHacker being similar as the alarm clocks that keep from going off during your deep sleep. HealthyHacker pushes you to take a break by stretching, socializing and relaxing but not during your most productive moments. HealthyHacker is built on top of Github's Electron framework, to provide a hybrid desktop application experience. This allows for faster build times, as developers can develop once and deploy to multiple platforms. 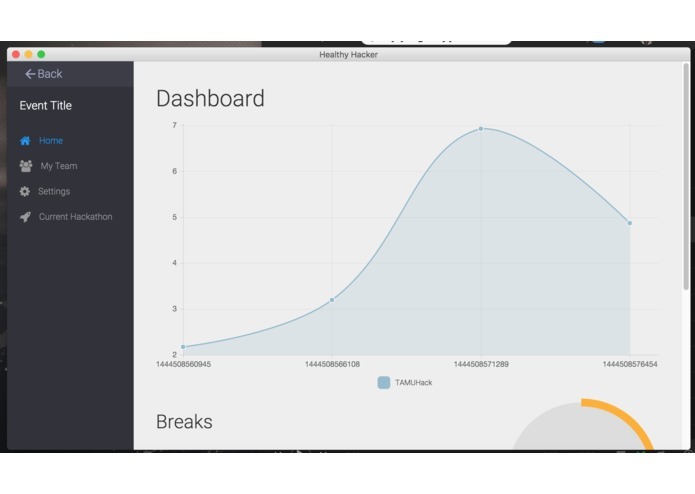 Being a hybrid application, HealthyHacker utilizes the popular Angular.js framework along with bootstrap, charts.js, restful web services, parse, and several others. 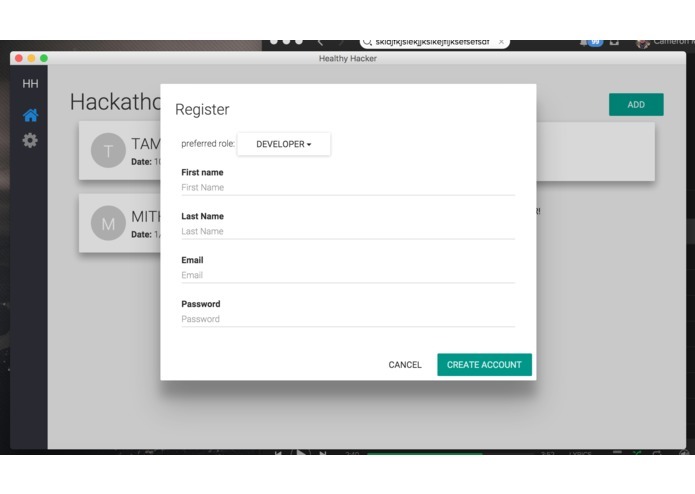 HealthyHacker has multiple future applications, while it was originally designed for a hackathon-like environment, it can easily be extended to corporate offices, studying and further.